Alt. Cert. 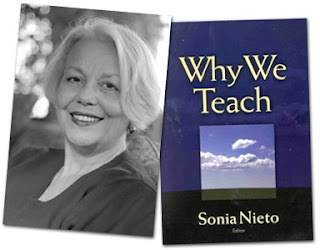 Educators Could Teach Sonia Nieto a Lesson! One very important aspect of the teaching profession is that teachers are perpetual learners. That’s why I drag myself out of my classroom and into graduate classes twice a week, that’s why I read whatever educator literature that falls into my lap, that’s why I ask a myriad of questions of every teaching veteran I meet. As a teacher I feel obligated to listen to anyone who I feel I can learn from, even if I learn *not* to do things the way someone else teaches. Recently I attended a lecture given by Sonia Nieto, the education guru who wrote/edited Why We Teach and What Keeps Teachers Going, among many others. If you’re a teacher on the East Coast and you work with any students near the poverty line, I’m pretty sure you have a good idea about who I’m talking about. This woman is revered in the educational community because of her drive to promote a “passion for social justice” and cultural diversity, but I just want to know why she disregards Teaching Fellows and Teach for America teachers. The lecture itself wasn’t so great, a lot of Hallmark Card-isms about what makes a great teacher, and how important it is for educators to have a “mission of fighting injustice,” but during the Q&A session in an auditorium that consisted solely of teachers with alternative certification Nieto solidly stood by her traditional teaching roots, even while trumpeted the need for teachers to be creative and to fight for their students rights. Well let me tell you something, Sonia Nieto: Teaching Fellows sink or swim. Either they teach and teach well, or they quit under the pressure. Teaching Fellows get seven weeks of training and then the spotlight is on, and the show begins. 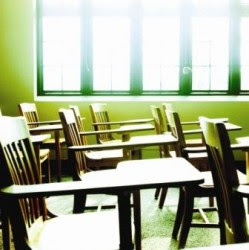 If it doesn’t take an enormous amount of bravery to face a classroom of students on the first day of school after a perfunctory training and not run screaming after the first week…what does? Teaching Fellows can think outside the box, Ms. Nieto, because we come from outside the box. Fellows usually hold other jobs before teaching, and bring those experiences to the classroom. I'm not saying every single Alt. Cert. teacher is a boon to the profession, but don’t hate on us, Sonia Nieto, we’re doing the best we can! Hard to Teach an Empty Room! It’s the last week before the last vacation of the year and my students are absolutely off the wall. The weather is just beginning to warm up and for the second time in two days the majority of my class walked out right after lunch. Why don’t they want to learn? Students who were asking me last week for extra work to raise their grade are now cursing me vehemently when I gently remind them to complete assignments. This is regression almost to the beginning of the school year for many of my students, I almost don’t know them! Yes, I know that kids act up more right before a vacation, but I hope and pray that the kids will settle down when we come back in April. Even though my students are special ed, they are standard assessment which means they have to take the same regents and they aren’t anywhere near to being ready. I can’t teach an empty room! To Party, Or Not To Party...That Is The Question! Normally my beau is very supportive of my teaching, offering me foot rubs, a shoulder to cry on and a buddy to drink with when the days are long. However, yesterday morning in our local Rite Aid we had an argument about my students and how I pay out of pocket in order to bribe the kids to succeed on their tests. The row highlighted everything that was wrong with society’s perception of Special Education. I was picking up a 2 liter of Coke for my class, because I give small parties on Friday afternoons if 75% of the class passes their weekly vocabulary test. During this errand my boyfriend stated that he didn’t think it was a good idea to bribe my kids into studying by offering them a party. It was in that moment that I understood how skewed his view was, as well as most of America is when it comes to kids with emotional disabilities. Special education teachers are the marines of educators, doing more with less, and doing whatever it takes. Self-efficacy is a buzz word that teaching gurus love to throw around but I can’t help but agree that students will work harder and learn better when they feel they are able to complete a task. My kids are in 9th grade and reading at less than half their grade level; getting students to buy into education is really hard and really important for me. When a student feels in his heart that he can’t do something, trying is a waste of effort and isn’t it easier to not complete an assignment then face the criticism of getting it wrong? I started the whole party idea about halfway through the school year because I not only had dreadfully low test grades, but half my class wasn’t bothering to even take the weekly quiz. They just didn’t care enough about the grade, because they assumed they would fail anyway. My beau’s outrage is pretty normal for society, why should kids be bribed to take tests? I could say that no, you don’t bribe general education kids because they either know the intrinsic value of education or care enough about what their family thinks in order to succeed. 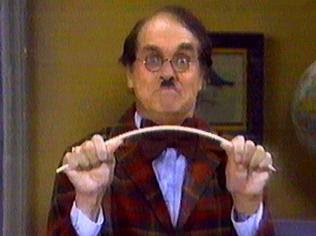 Coming from general ed you can’t help but think that all schools are like general ed, and I made the same mistake before I set foot in my special ed classroom. Maybe class parties to celebrate passed tests is a desperate move on my part, acknowledging the difficulty in reaching these students and offering tangible rewards like soda and popcorn when praise alone is regarded with suspicion and neutrality. I told my boyfriend that no, I shouldn’t have to bribe these kids to study and do their work, but I will because I want them to do as well as they are able, and even surprise themselves. P.S. Do you think general education students earn high marks without non-academic incentives? Think for a minute and you’ll realize that plenty of parents bribe their kids; my parents gave me $5 for each A on my report card, some kids got a car for graduating. My students are poor, many don’t live with their parents, and education itself offers more stick and less carrot. Man, ain’t it the truth? Seems like the more things change, the more things stay the same. Man, I get more play teaching high school than I ever had in my life. I’m not disfigured or anything…but I feel like a prom queen with a great hair day the way these students catcall me. When I got into the teaching biz I expected a certain amount of “interest,” being young and female; but I get propositioned every day. Sure, I realize it’s for the shock value, and I’m willing to joke back and keep it light. "I'm sorry, I'm too young to marry you." So this kid is 16, and pretty decent by nature, never particularly rude or nasty like the population tends to be and almost every day he stops by to ask me to “chill in his hood with him.” I’m not willing to be mean to this kid because he’s not being dirty or awful, just asking me to do things a teacher absolutely can’t. The only problem is everything I say ends up sounding like a weak excuse. At this point I busied myself with writing on the board because the whole scenario was making me uncomfortable. The student was incredibly sincere and everything I said sounded like a weak excuse next to the boy’s persistence. I guess I could have gone ahead and mentioned that I had a live-in boyfriend…but that’s classified info, and I’m not sure it would have helped. It seems like all I can keep doing is saying no, as lame as it is. But I feel bad, knowing how often these kids get rejected in life. What can I say? Some days are really inspiringf or me as a teacher AND as a person, and even though I can think back to October when almost every day sucked (and was dangerous) it’s still wearying to trudge through the days where every single aspect of teaching goes wrong, you can’t educate worth a damn and the only saving grace is that it’s nearly the weekend and sixty-some days till Summer. There's no real fear of me quitting, and I’m sure after indulging in a night of sulking and a hot bath I’ll be set to face the day tomorrow…But I can’t help but think teaching is really thankless work sometimes. And no, no parents showed up for parent teacher conferences either. But I didn’t really have my hopes up anyway. Last Friday I planned the MOST FUN FIELDTRIP OF THE YEAR, or at least that’s what I taught my kids. We were organized to head into Astoria, Queens to visit the Museum Of The Moving Image, and caustic as ever, many of my little darlings complained that “we only went to museums” and that “they sucked.” I had to hold back a laugh, since the MOMI was only the 2nd trip our class had taken to any museum. I spent all of last week hyping up the museum, telling my students how so much of the museum was hands on, and how much fun it would be…and for the most part my enthusiasm helped because I had seven students arranged to go on the trip. (I’m used to four students per trip, many opting out in order to smoke up somewhere or get in trouble with the law.) So let’s just say I was incredibly excited to be brining my kids somewhere fun, somewhere exciting, and somewhere out of Brooklyn and their school. Friday morning I woke up with a head full of lead filings. Sick. First bad cold since I’d moved to Brooklyn over a year ago. Disbelief, disappointment and feelings of what now? Bubbled in my head just like the snot in my nose. Gross image, sorry. I even flirted with the idea of calling in sick. No way. I just couldn’t. I rallied through a 45 minute shower, trying to clear my head. I downed some Dayquil and mustered up as much strength as I could to face the day. When I walked into school and got all the paperwork together for the trip a colleague asked me why I didn’t just cancel the trip. I was aghast! After all the time I spent talking about it, and how excited I imagined the kids were under their public persona of cool disregard for all things academic? I couldn’t back out now! Besides, it was Friday, and I could coma through the entire weekend and feel better on Monday. Surprisingly, for the amount of teenagers we brought on the trip there were few snafus. Again, there were a few turnstile jumpers, but it didn’t seem so bad since we all had a school pass to get through free anyway. Why do kids do that sort of thing for attention? It took just under an hour to get to the museum by train, with several blocks of walking once we got to the surface. The students certainly complained about that. Diva Student: Ms. C? (Very loudly) Ms. C? How come you always makin’ us walk everywhere? I’m COLD and TIRED! Why didn’t we take the bus?! Ms C: I asked you guys about the bus, you said yourself you “didn’t want to take no Fing cheese box.” If you like, next time we’ll bus it. If you’re reading this blog, and you’re looking for an AMAZING place to take your students, taken them to the MOMI…it’s a lot of fun, and your kids will thank you. My kids especially liked the Linda Blair Exorcist robot, but I think that’s because they’re all a little possessed. Ha ha, just kidding. Even though it’s way uncool for teens to show any joy or pleasure in school related activities there was a giant movie camera from 60 years ago that stopped my students in their tracks. “Whoa!” was their consensus, and I felt a little smug about it. 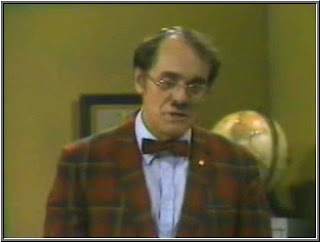 In fact, when it was time to scram, I actually had trouble getting the students to leave. Mind you, it was in the video-game room, but knowing that even if the students wouldn’t admit to it, they enjoyed the trip. We ended the trip by stopping at a nice diner and getting the kids lunch, and it was a pleasure, even in my doped up state, to sit and eat as a “family.” Only one student was rude to the waitress, but other than that no one would have known these kids were special ed. And isn’t that the point? As much as I love teaching, sometimes it feels like a kick to the neck. I was told yesterday that the student from Tuesday’s blog post is being removed from the school for a safety transfer. Thursday she was jumped after school at a local McDonalds and hurt pretty badly. Luckily, McD’s has cameras and the girls responsible were arrested. But, Jesus, why do these kids do these sorta things to each other? The futility of the situation makes me nauseous, how can my students rise above their environment if they are beaten down even before they become adults? I had such high hopes for this girl in my class, and I still do. The student is very strong, and still smart. But four schools in this year alone will not help this young lady succeed. I feel so impotent as an educator, trying to reach these students who are living such dangerous lives. And even when I tell myself there is no logical way I can touch every young mind that passes through my class, it is indeed cold comfort. Something in the system is not working, and it’s obviously the students who gets the short end of the stick. However I didn’t truly believe it until today. ED girls can seriously take leave of their senses. In the midst of a Global Studies lesson there was a knock on my door, and stupidly I answered it. In poured a half dozen of the female population, completely disregarding me as I inquired, coaxed and shouted at the students to leave. The girls dragged one of my students out, inciting her into a huge brawl that took place outside my classroom while I yelled for security to PLEASE come help me. And even more nuts is a 6 month pregnant girl started the fight. Reflexively, another student pushed me out of the way (saving me) from some pretty hard knocks. Three minutes later two assistant principals, the principal, the dean, the head of security, two security guards and a freaked out teacher (me) were in my classroom dealing with the pregnant student who had a gash on her belly and had fainted in the floor, crying. Now, I don’t know this girl. I’ve seen her around, but don’t share the bond I feel with my own students. But I was real scared about this girl and her baby, and all thumbs…without anything to do except wipe her brow with a wet cloth and write up the incident. My student, the non-pregnant one came to me and wanted a high-five for mopping the floor with the other girl. I could only hollowly reason to her that fighting with a pregnant girl was wrong, even if she started it. I never thought I’d have a discussion like that with anyone.